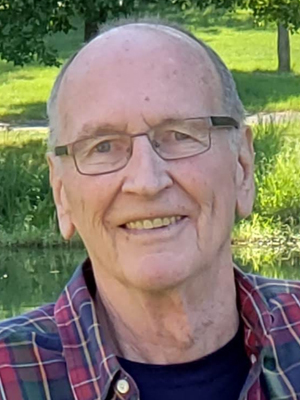 Michael Edward Hickey was 77 years old, when he passed away peacefully on October 7, 2018, at his home in Apple Valley, MN. Mike grew up in North Minneapolis, where he attended St. Bridget’s Grade School and De LaSalle High School. Mike also attended three state colleges with no particular distinction. After working in sales for a number of years, he worked for Hennepin County as a Court Manager for 28 years. Mike retired in 2003. He was well-liked and respected by all he met. Mike will be forever loved and missed by his wife of 52 years, Linda; daughters, Leah (Dan) Wermerskirchen, Molly (Steve) Nearpass; grandchildren, Tanner and Taylor Wermerskirchen, Emma and Ella Nearpass; sister, Kathy Pearson; many relatives and longtime friends. Memorials may be directed to St. Jude Children’s Research Hospital, Memphis, TN. Linda, Leah, Molly and families, My deepest sympathy to you on the loss of Mike. All my thoughts and prayers are with your family at this really hard time. LINDA AND FAMILY. MY PRAYERS FOR YOU ALL. I WILL MISS HIS SMILES. Our hearts go out to you. We are glad to have known Mike and grateful to Linda and Mike for sharing the lovely and devoted Molly with our family. Leah and family, I am so sorry to hear about the loss of your dad. Having lost my mom back in July, I can understand what you must be going through. You are in my thoughts and prayers. I’m so sorry to hear the news. I remember him well when I first started in District Court back in 2000. He was friendly and very kind. I know he will be missed by many friends and colleagues. Please let me know if I can do anything to help. You are all in my thoughts and prayers. Mike was a wonderful dad and husband.